Welcome to Madrid, the capital of Spain. The city is famous for its Museums, for its classical architecture and for its night life. 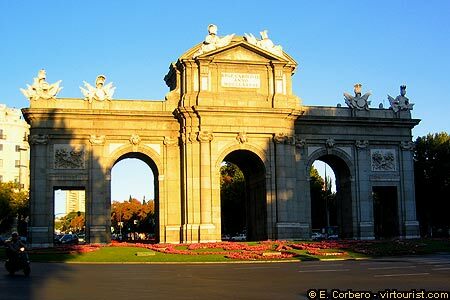 The best Museums in Madrid are the "Museo del Prado", with Spanish and foreign masterpieces from 1400 to 1700; the "Museo Nacional Centro de Arte Reina Sofia", with a vast a collection of 20th century works; and the "Museo Thyssen-Bornemizsa", with 18th to 20th centuries masterpieces from the Thyssen private collection.